Best suited for use for tan and sunburn prevention and It contains concentrates of chamomile blossoms for mitigating and supporting a youngster's skin. 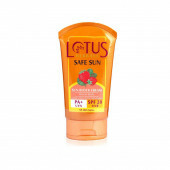 Lotus Herbals Safe Sun Kids Sun Block Cream with SPF-25. It contains concentrates of chamomile blossoms for mitigating and supporting a youngster's skin. Gives complete UVA and UVB assurance for tan and sun blaze counteractive action. Tried for utilization by pediatricians and dermatologists.It consists of Chamomile Extract which has anti-provocative & alleviating properties which is useful for touchy skins. It provides complete UVA and UVB protection for tan and sunburn prevention. 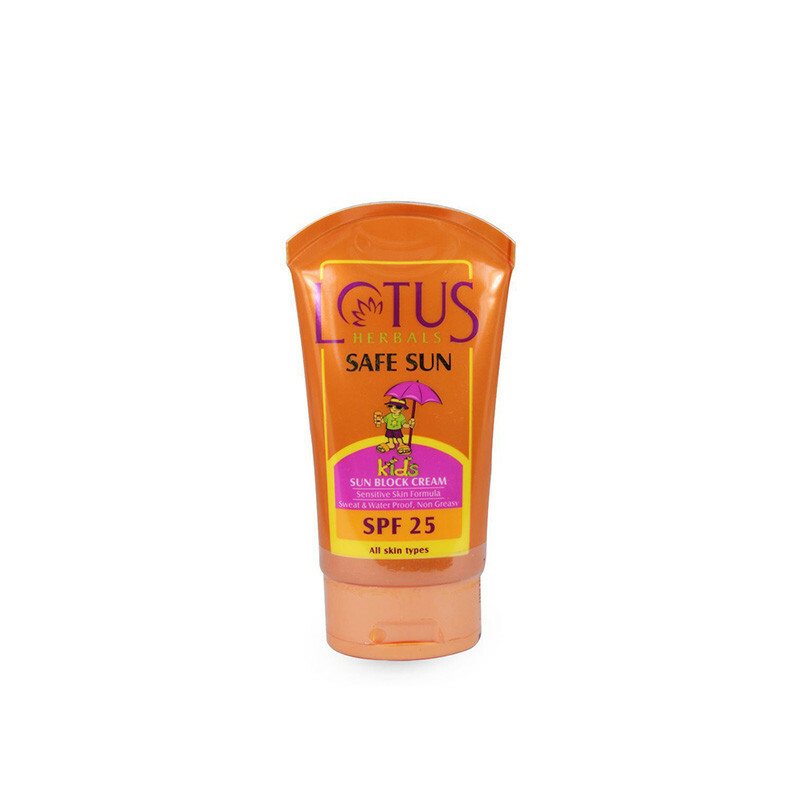 It is specially formulated for young and delicate skin that soothes and nourishes a child's skin.Protect your child's skin from solar radiations using Lotus Herbals Safe Sun Kids Sun Block Cream with SPF 25.